In the third day of Anissa Weier’s trial to ascertain her mental status, three people took the stand. First was teacher Jeffrey Taege, then two psychiatrists who evaluated Anissa. On the second day of the Anissa Weier trial in the Slenderman stabbing case, a detective, a teacher, and a forensic psychologist took the stand. First detective Shelly Fisher described her interview with the victim, Peyton and evidence that she retrieved from the perpetrators school lockers. Then Dr. Melisaa Westendorf testified about her expert opinion of Anissa’s mental state. It is being reported on August 21, 2017 that one of the two girls who stabbed a friend 19 times plead guilty to murder. 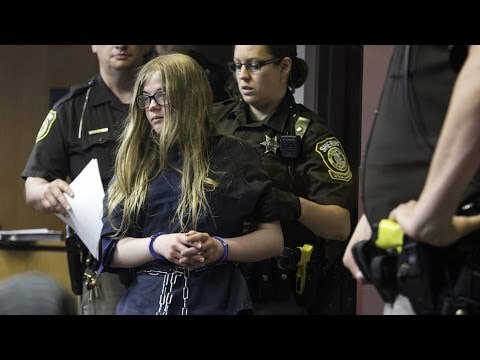 In 2014 two 12-year-old friends made a pact to slay a third girl as a sacrifice to fictional internet character Slender Man. The attack took place in a park near Milwaukee Wisconson. The victim, Payton Leutner, survived. It is being reported on July 5, 2017 that that man accused of abducting University of Illinois visiting scholar Yingying Zhang appeared in court today regarding bail. During the hearing, more evidence that the FBI obtained was released to the public. Judge Eric Long denied Brendt Christensen bail after finding him a flight risk and a danger to the community.